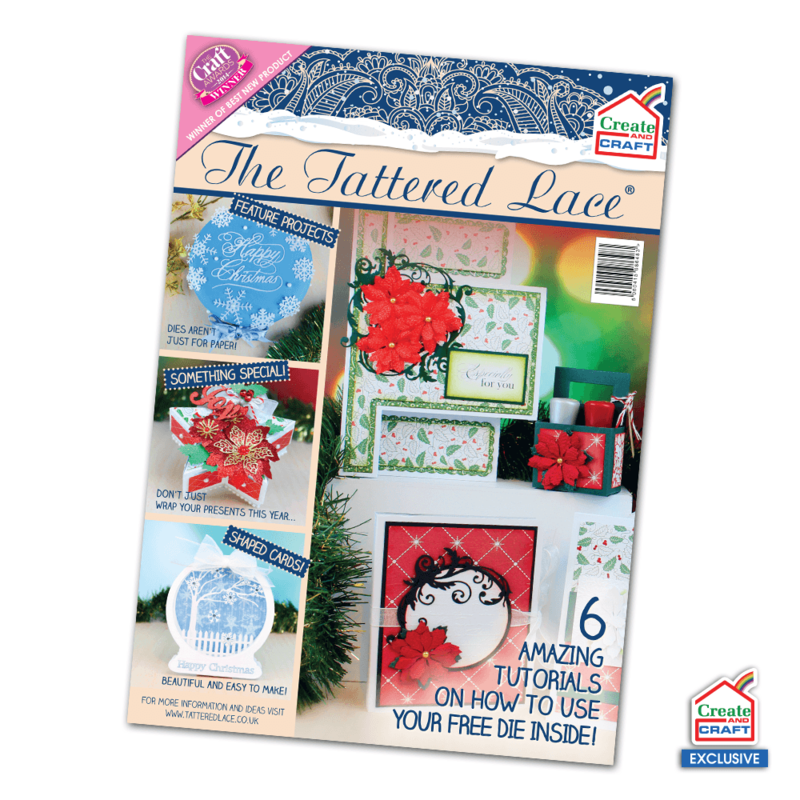 Welcome to our second extra special Christmas magazine exclusively for Create and Craft! And what a fabulous magazine it is as well. There are 32 projects that cover Christmas Décor, Christmas Gifts and of course Christmas Cards. Your FREE die this month is actually three dies and an embossing folder too! The Trio Poinsettia die set is so gorgeous. Not only will you be able to make beautiful Christmas flowers, you will also be able to give them texture and depth. Fantastic for so many Christmas projects. Of course cut the dies from different coloured cardstock and papers and you will be able to make flowers for all year round. So what can you expect to see and try yourself at home? Well try making a Christmas wreath, it’s simple but stunning. Maybe you want to make some easy, but striking tree and table decorations with the children. Of course, Christmas sweet treats are always a winner and we have some great gift ideas from Fragrant Bath Salts to very inexpensive handmade jotters and even a Christmas Gift List set. There are a multitude of lovely Christmas card ideas in this special. Prancer joins us for some fun and frolics, the Snowglobe die set does a spin with a frosty feel. The Essentials Book die set oozes elegance and sophistication, whilst the Nativity Scene tells the real Christmas story. There are so many more. I know you will not be disappointed.